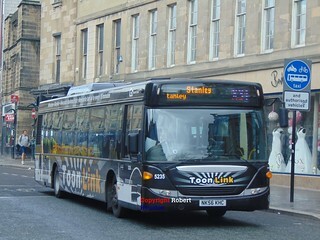 In order to enhance the quality of service provided to passengers on services 5 and 50, this vehicle has been fitted with free customer Wi-Fi. This contributes towards Go North East's project to upgrade every service in the Washington and South Tyneside areas with free Wi-Fi. This vehicle has now received "Whey Aye Five 0" branding. With the operation of "Whey Aye Five 0" service 50 transferring to Washington Depot as part of service changes effective Sunday 17th April 2016, this vehicle has transferred from Percy Main Depot to Washington. 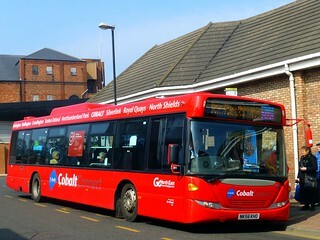 This vehicle has lost its "Cobalt Connect" branding, having been repainted into a light blue base livery. Upcoming service changes in April 2016 will see "Whey Aye Five 0" service 50 interwork with service 5, which is currently operated by Riverside Depot. Both services will instead operate from Washington Depot and fall under the "Whey Aye Five 0" brand, providing a consistent brand identity for services 5 and 50 on the Boldon - West Harton - South Shields corridor. It is thought that this vehicle will be one of five to join the "Whey Aye Five 0" brand. This vehicle has gained branding for "Cobalt Connect" service 19. This brand replaces the "Route 19" brand and the former allocation on service 19 will be displaced as a result. This vehicle has transferred from Stanley Depot to Percy Main. 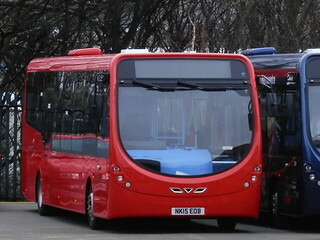 This vehicle has been repainted into a plain red base livery. This vehicle has entered service at Stanley Depot. 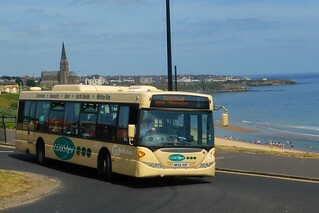 Ahead of its entry into service, this vehicle has gained "West Durham Swift" branding, for services 70 and X30/X31. 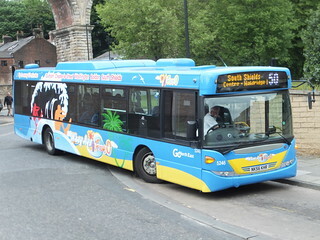 This vehicle has received "Coaster" branding, with sub-branding for service 1 (Gateshead - Whitley Bay).